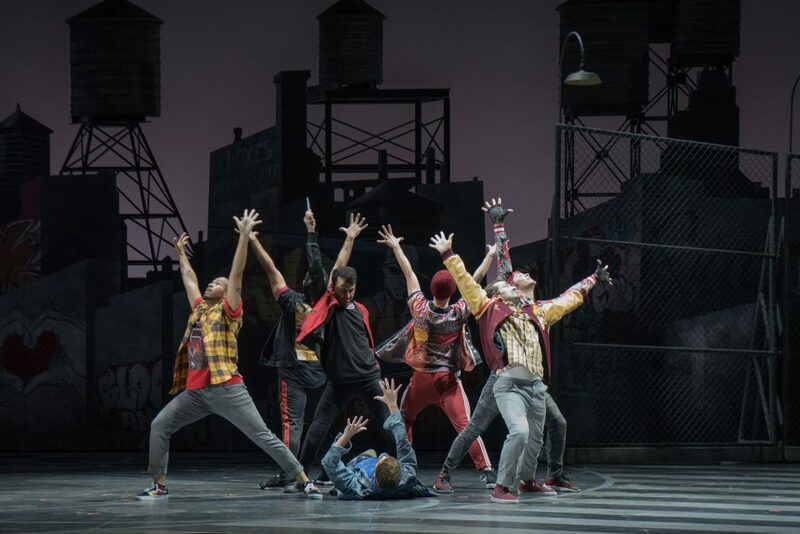 Kansas City audiences have seen road companies of “West Side Story” at Starlight Theatre and the Music Hall but never have they experienced this legendary Broadway musical about youth gangs and star-crossed lovers with a full symphonic orchestra and the technical resources the Lyric Opera brings to bear. 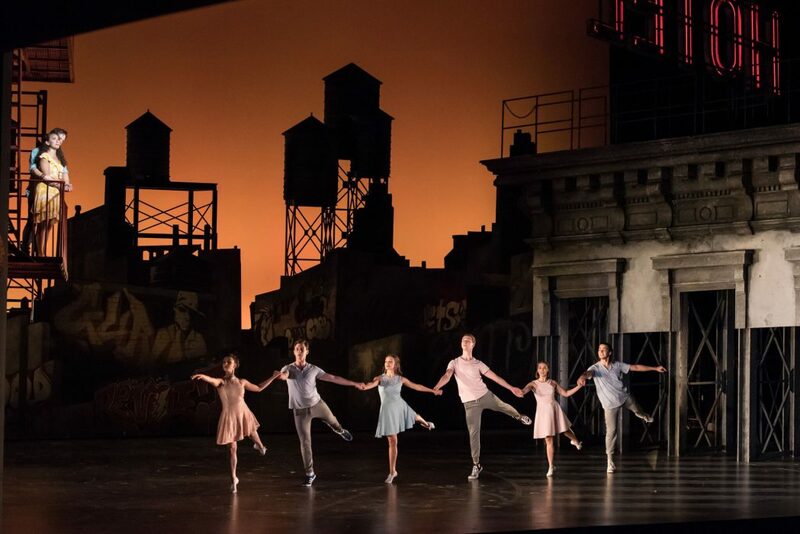 “West Side Story,” conceived and choreographed by Jerome Robbins, may be a Broadway musical, but Leonard Bernstein’s score is one of the most complex and mesmerizing to ever grace a theater stage. Director Francesca Zambello — artistic director of both the Washington National Opera and the Glimmerglass Festival — stages the material with the kind of formality one expects in classic operas, but she allows the performers a degree of freedom that gives the music room to breathe. And freedom — or the illusion thereof — is what energizes the original Robbins choreography, recreated for this production by Julio Monge. This show, in fact, originated as a co-production of Houston Grand Opera, Glimmerglass and Lyric Opera of Chicago. Based on William Shakespeare’s “Romeo and Juliet,” the book by Arthur Laurents reflects news accounts of the 1950s about youth gangs and juvenile delinquency in New York. Laurents’ plot describes a turf war between two gangs — the Puerto Rican Sharks and the Polish-American Jets — and the series of events that unfold after Maria, sister to the leader of the Sharks, and Tony, a former member of the Jets, meet at a high-school dance and fall instantly in love. Stephen Sondheim, who made his Broadway debut with this show, wrote lyrics that have withstood the passing of time. He is cleverest in the show’s two overtly satirical numbers — “America,” in which young Puerto Rican women compare their new home to the old, and “Officer Krupke,” the Jets’ joyous mockery of a beat cop that becomes a comic social commentary on juvenile delinquency and alienated youth. The best-written role in the show is Anita, the girlfriend of Bernardo, leader of the Sharks. She has the best comic lines — sharp and perceptive — and sexiest persona. She experiences a full range of emotions, from giddiness to cynicism to rage. Here Anita is played by mezzo-soprano Gabrielle McClinton, who rivets our attention every time she steps on stage. The charismatic McClinton happens to embody the ideal combination of talents required by this show — she can sing, she can dance and she can act. Vanessa Becerra makes a strong impression as Maria, the innocent who, by the end of the show, becomes an embittered fatalist. Her penetrating soprano could probably be heard in the Power & Light District. As an actress she commands the stage with Maria’s inconsolable despair in the show’s final moments. And her delicate delivery of “Somewhere,” which accompanies the elegiac ballet projecting a picture of the harmonious life that could be, achieves unmatched poignancy. As Tony, baritone Andrew Bidlack, makes a lesser general impression but handles the character’s biggest song, “Maria,” with authority. DJ Petrosino delivers a skilled performance as the hot-headed Bernardo, leader of the Sharks. Brian Vu as Riff, who leads the Jets, makes the role a formidable physical presence with his athletic dance moves. The supporting players and chorus members, including several Kansas City performers, contribute to the general “realness” of the atmosphere. The Lyric’s production is visually spectacular, thanks in large part to Peter J. Davison’s evocative scenic design and Mark McCullough’s mood-shifting lighting. The creative team opts for wide-screen stage compositions to take advantage of the Muriel Kauffman Theatre’s expansive stage. The power of the music, as performed by the Kansas City Symphony under the baton of David Charles Abell, is irresistible. Leonard Bernstein’s score, a unique mix of soaring romantic melodies and percussive rhythms, always gets to me. But it’s not just about the music. As a tragic drama, the show is equally potent. We may know where the plot leads, but the doomed love between Tony and Maria, the bitter rivalry between two street gangs and the moments of inevitable violence become palpable in this production. Costume designer Jessica Jahn suggests the 1950s but she also lends the material a sort of timelessness. At certain moments you can believe it might be happening 60 years ago, while while at other times the events could be unfolding last week. And that leads to something I didn’t expect: A surprising degree of relevance to the here and now. The intractable eye-for-an-eye animosity between the Sharks and the Jets brings to mind the chauvinistic fear of “others” which now infects our politics. Bernstein, Laurents and Sondheim deliver the same message Shakespeare did in “Romeo and Juliet” — deep divisions lead to violence and violence hurts all of us. 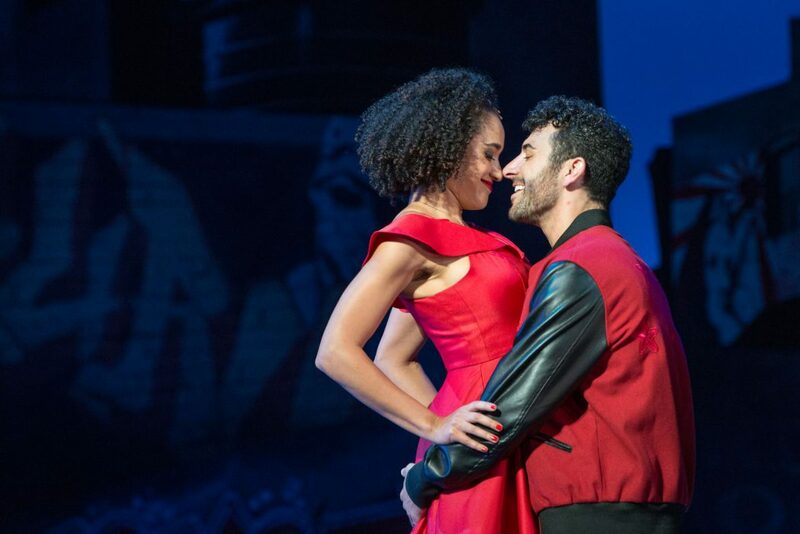 The Lyric Opera production of “West Side Story” runs through Sept. 30 at the Kauffman Center for the Performing Arts. Call 816-471-7344 or go to https://kcopera.org.